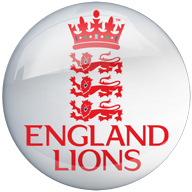 Half-centuries from Ollie Pope and Sam Hain helped England Lions to bat out the final day and earn a draw in the first unofficial Test against India A. Starting the day 20-0 in their second innings, the Lions still trailed India A by 180 with a draw, realistically, the best they could hope for in Wayanad. Openers Max Holden and Ben Duckett extended their opening stand to 63 before Avesh Khan removed Duckett (30), and Holden (29) fell soon after to Jalaj Saxena. That brought Hain and Pope together, though, and the pair added 105 for the third wicket to ease the pressure on the tourists and take them to within 14 runs of making India A bat again. Shahbaz Nadeem eventually broke the stand, having Pope (63) caught behind, and the left-arm spinner removed Sam Billings (5) eight overs later. The wicket of Hain (57) followed, lbw to Saxena, but by that stage time was running out for the hosts and the Lions were just two short of overhauling their first innings total. Steven Mullaney (3no) and Will Jacks (13no) batted through another eight overs, taking the Lions to 214-5, before the sides shook hands on a draw. The second unofficial Test gets underway at the same venue on Wednesday. India A won the toss and elected to bowl.